Followers of my old blog blog will know that I am passionate about the theology of the late Scottish theologian Alan E. Lewis… and Easter (or Holy) Saturday is his thing. Lewis developed his theology of Holy Saturday, the day between Good Friday and Easter Sunday, as he was dying from cancer. 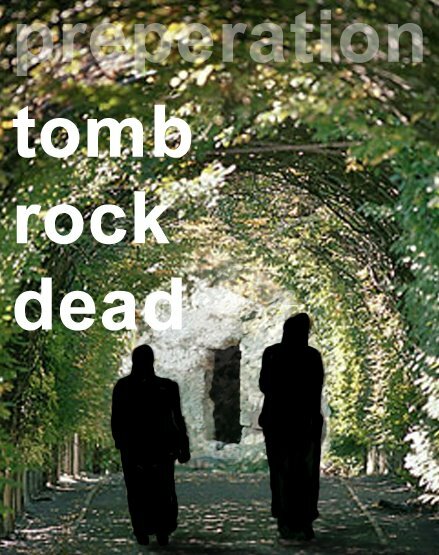 The resulting book Between Cross and Resurrection was published posthumously. The principle point behind Lewis’s thinking is that the middle day… this “time of waiting in which nothing of significance occurs” …is central to the whole of Christian theology. Although Lewis acknowledges that the middle day might be considered a “bizarre and hopeless starting point for theological reflection” he chooses this space – the “no-man’s land” dividing cross and resurrection – from which to meditate upon the meaning and significance of Christ’s death and resurrection. But what is it about this day (a day largely neglected by Theologians and by the Church in its liturgy and worship) that holds such significance for Lewis? I think it is probably the shocking enigma that we have to confront as we contemplate Saturday– that it is God himself who has suffered and been rejected by humanity, that the ‘Immortal’ has died and been laid in a tomb. Easter Saturday is the day from which we must look back on Good Friday. It is only from the perspective of Easter Saturday that we can begin to grasp the true reality of the horror and hopelessness that must have overcome the followers of Jesus, indeed all who loved him, on that first Good Friday. But Easter Saturday must also take us forward to Easter Sunday. Although the suffering of the cross and the dark silent space of the tomb where “death is given time and space to be itself, in all its coldness and helplessness” is central, it never overwhelms the powerful and joyful victory of resurrection, because it is the resurrection that confirms beyond all doubt that Christ was in fact God. So when we view the resurrection from the perspective of Easter Saturday, we are made to think again about the radical nature of the suffering and death of God in Christ and we are also confronted with the shocking reality that God himself has been found and identified among the dead. God has not only suffered and died, he has also been laid in the grave. Easter Saturday is a day of mystery and a time for reflection. Bonhoeffer once said that our reflections on the significance of Christ must begin with silence (all voices must be stilled, all conversation must cease). Easter Saturday gives us that silence. It is the space for our reflection… space for us to dialogue with the three-day story of faith and to explore, from a different perspective, our ideas of a Triune God who fully embraced our humanity. From the liminal space of Easter Saturday we are able to gain a much fuller appreciation of the depths of the humanity of Christ – the God become flesh, who lived to die and then to pass through death into glorious new life. “you are looking for Jesus of Nazareth, who was crucified. He has been raised; he is not here”. God’s victory over evil – over all suffering and ultimately over death itself is revealed in the young man’s words which proclaim the power of God for a world come of age.